Nearly everyone loves a sauna or hot tub! Whether it is for indulging in moments of quiet reflection or for ensuring unforgettable parties, you have lots of uses for your home spa. With our high-quality products, knowledgeable team members and attentive, reliable service, it’s no wonder that our customers are so consistently pleased with our work. We want to make sure that, whatever your home spa needs; we’re your first call in Edmonton. But don’t take our word for it – on this page, read reviews from some of our past clients. To hire us or buy products for yourself, contact us today. “I have an old relic of a hot tub and the gang here is wonderful to deal with bringing it back to life. 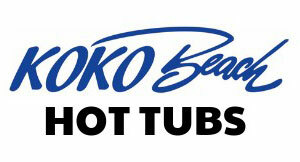 Someday, I hope I will own one of the beautiful tubs in their showroom. John and I are very happy with our new hot tub, I would just like to say that from the time of delivery to any follow up questions that we have had, their customer service and knowledge has been awesome!! The Best Price, No Question!